Bodhala is an AI-powered legal tech platform that takes a mass quantity of data, analyzes it, and provides actionable, easy-to-use insights. Founded by Raj Goyle and Ketan Jhaveri, Bodhala’s insights empower in-house legal departments to accurately forecast legal spends and evaluate potential outside representation for significant matters. Simultaneously, Bodhala allows law firms of all sizes to compete for available business on the merits of performance, not relationships, and effectively plan for the new world of value-based pricing. The legal industry has always been extremely slow to change, especially when it comes to adopting technology – they are just now realizing the abundance of unstructured data available. Legal is a $500 billion global industry with a hundred billion in overspend – it is now running much more like a business, with less volatile budgeting, value-based pricing, and increased accountability. Every year, there is $16-$18 billion in contestable business among the top 25 most profitable firms in the legal industry, as clients are willing to unbundle work away from historical relationships to leaner firms (whether big or boutique). I invited Raj Goyle, CEO, and co-founder of Bodhala onto the show to learn more about his legal tech startup story. 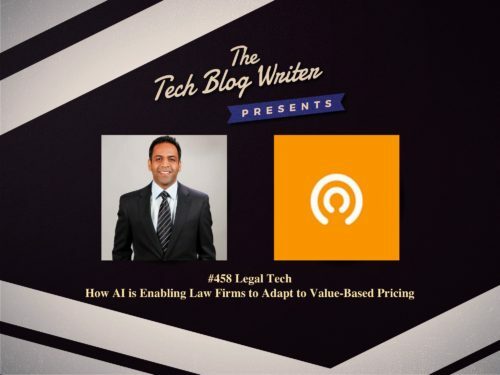 We also discuss how AI and Big Data are being used to empower the legal industry with the evidence required to make critical business decisions. Goyle also served two terms in the Kansas House of Representatives where he was the first Asian American elected to public office in the state.